We were just talking about this gif in chat. We thought it might be cool for there to be a bunch of them with different cool/funny stuff in the back, if you wanted to have at it! 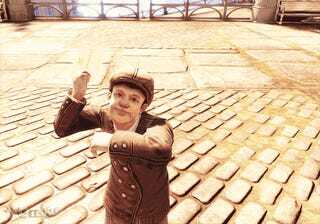 I then emailed team Kotaku and asked them what telegram they wanted Booker DeWitt to receive. 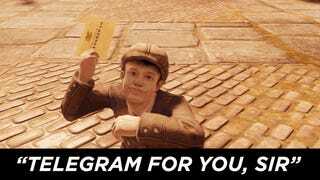 You have the constant, now we want to know the variable: What telegram do you want Bioshock Infinite's Booker DeWitt to receive? Post your response in the comments.